We've made it a mission to try out at least one of Aqua S' new flavours every 2-3 weeks. I must say, changing their ice cream flavours every fornight really does bring back repeat customers. We are watermelon lover, after trying Black Star Pastry's amazing strawberry and watermelon cake, we wanted all things watermelon. The new flavours of the fortnight... watermelon and creaming soda. I am not a fan of creaming soda, it was a luxury drink to many of my friends while we were 8, but it tasted like food colouring and liquid popping sewage to me. 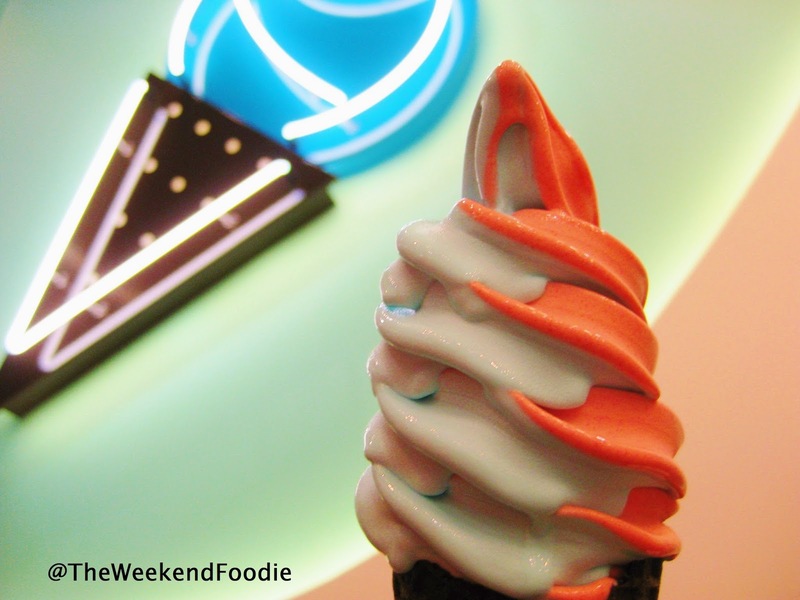 Without hesitation, we got sea salt x watermelon in a cone $3.80. I saw a few reviews highlighting the sickening feeling after the ice cream, I too, felt sick after having a whole ice cream to myself shortly after their grand opening. My tip is, grab two spoones and share it. I really liked the flavour combinaton, can't really fault the flavours. One thing I really disklike is the taste of the cone. It tastes worse than the cheap home brand cones I get from Coles. Having said that, I'm excited to see the new flavours to feature next fortnight.